If you’re wondering what’s been happening with the QueensWay elevated park proposed for a stretch of abandoned railway track in the borough, Open House New York recently shared some new updates. In January, OHNY hosted “Projects in Planning: QueensWay“, an event that included a presentation from some of the key players in the park’s development, including Susannah Drake of DLANDstudio, Andy Stone of The Trust for Public Land, and Travis Terry of Friends of the QueensWay. Open House New York specializes in providing opportunities to experience architecture and the design process, and the event succeeded in generating more interest in the proposed multiple-acre park. The OHNY presentation amplified the growing support for public park’s mission, which includes providing an active learning environment and ecological restoration. Friends of the QueensWay, a local grassroots non-profit organization was the original advocate for the park. In 2014, The Trust for Public Land, which develops public parks across the United States, completed a study exploring the feasibility of developing QueensWay. The multi-partner project is estimated to cost $122 million, and funding is projected to be received from the city, federal funding and private donors. Funding for realizing the first part of the park has been secured, and Friends of the QueensWay and the Trust for Public Land are now working collaboratively to move into the next phase of the project. 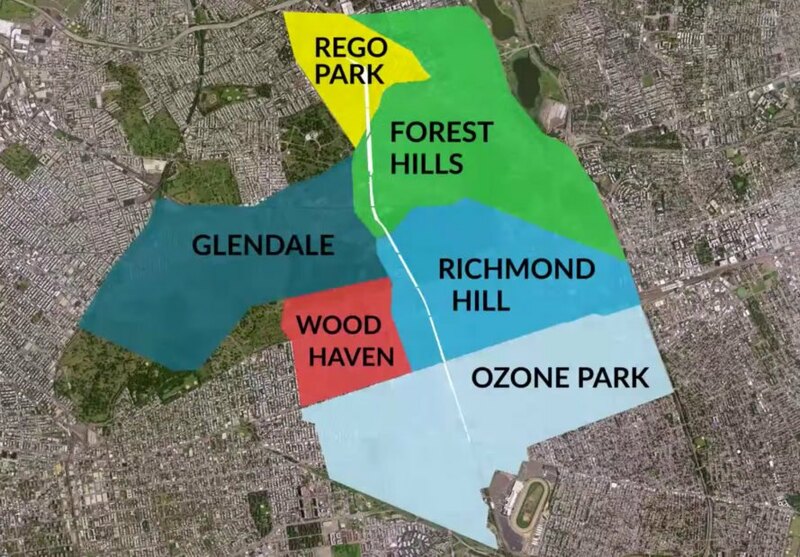 QueensWay would connect the neighborhoods of Ozone Park, Richmond Hill, Forest Hills, Rego Park and Glendale. The project has often been compared to Manhattan's High Line.